Racking and shelving suffer damages that can compromise the safety of this important equipment of our warehouses. Some of the damages may seem slight, but maintained over time and accumulated to other different damages can lead to dangerous and serious situations. Other damages are easy to identify but the actual risk they represent is more difficult to assess by an untrained eye. Lack of safety pin of beams. Overloading of structural elements of the racking such as beams or frames. Lack of loading plates in which data of load capacities, height distribution, supplier identification, etc. should be collected. Frame uprights struck and damaged. Beams partially disengaged from frames. Modifications of the heights of loading levels. Some of these incidents may appear to be minor, such as the lack of safety pins on the beams, however this lack of pins could lead to an accidental disengagement of the beams, with the consequent fall of loading units, potentially causing a serious accident. Other damages such as struck uprights are more easily identifiable but their level of risk and the measures to be taken and the speed that should be adopted are not always easy to determine. For this reason it is advisable and beneficial that our racking is inspected by experts and properly trained personnel, who will be able to correctly evaluate the damages presented as well as the inherent risk of those damages. The standard EN 15635: 2010 provides a tested methodology for the evaluation and coding of damages. Depending on the severity, these damages will be classified as green, amber or red damage. The green damages do not require an action on the damaged element but it will be necessary to track them to see what their evolution is. While the amber and red damages do require the repair of the damage, with the connotation that the red damages require the immediate discharge of the racking element damaged because of the high risk they represent. The consequences of the damages produced on the elements of the racking can lead to a reduction of the load capacity causing dangerous situations for goods stored and people. It is critical to know the loading capacity of design, which must be indicated on the loading plates. But it is not enough to know how much load the racking supports, it is just as important to know how much our pallets weigh and how much weight we are actually storing. 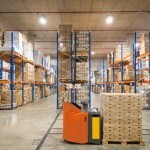 In short, it is a question of avoiding to store more load on the racking than the load for which the storage equipment was originally designed. The daily operations in our warehouses may the require the modification of the distribution in height of the loading levels. Although in general, steel racking is a flexible equipment that allows changes in the heights of the loading levels, it must be kept in mind that these changes can affect the performance of the racking significantly, reducing load capacities. 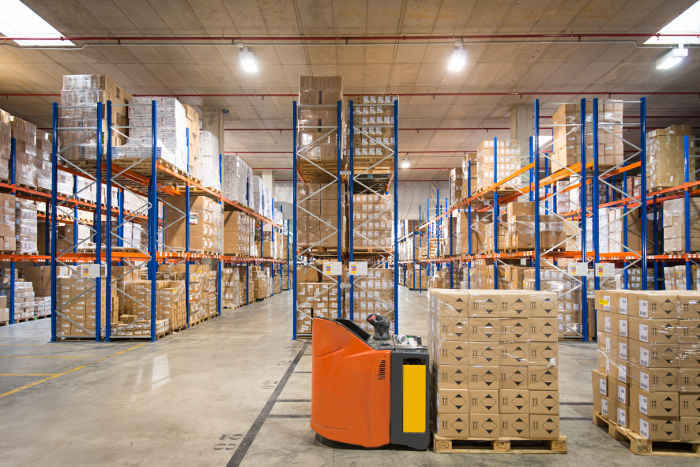 Both, the warehouse staff and the responsible staff, must be aware of this circumstance and must refrain from making these changes without first consulting with the racking supplier, or in their absence with an expert. The standard EN 15635: 2010 indicates that racking equipment has to be inspected on a regular basis (at least once every 12 months) by expert staff.